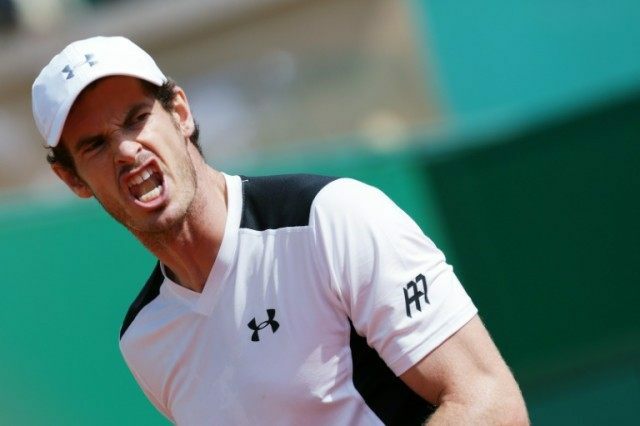 Monte Carlo (Principality of Monaco) (AFP) – Andy Murray faces a severe test of his clay court credentials against Rafael Nadal in the Monte Carlo Masters semi-finals after crushing a below-par Milos Raonic 6-2, 6-0 on Friday. Nadal, winner of eight straight titles in Monte Carlo from 2005 to 2012, holds the edge over the second-seeded Scotsman, defeating Murray in 2009 and 2011 semi-finals in the principality. The Spanish fifth seed was in fighting fighting trim as he crushed French Open champion Stan Wawrinka 6-1, 6-4 in 77 minutes. Wawrinka, who won the tournament in 2014, cracked a racquet in the fifth game of the first set. The fourth seed ended with 29 unforced errors and dropped serve four times. Murray was always in command against Raonic, who has been suffering from the return of a right leg injury that troubled him at the Australian Open two months ago. Raonic was never in the match, failing to hit a single ace in his 66-minute defeat. Murray said that while his win might not have been pretty, it still gave him confidence after he struggled through his first two contests this week. “I’ve played a lot of tennis, though it has all not been of the highest quality,” said the 28-year-old. “I’ve been able to learn from my previous matches. Today I served one of my best matches.